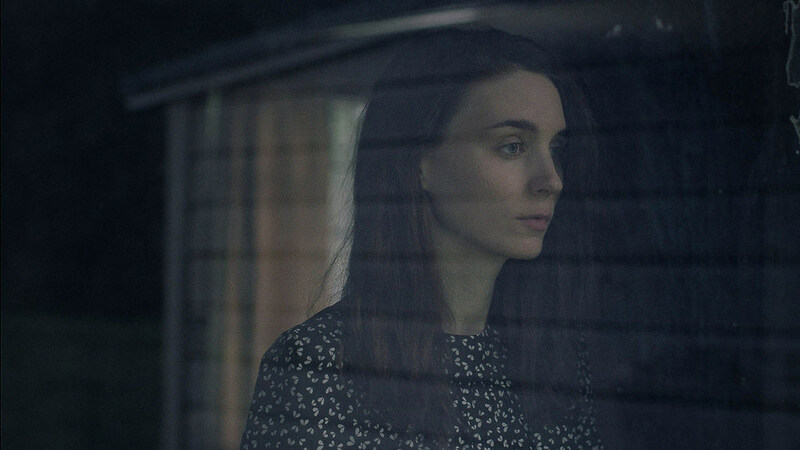 Some people are calling David Lowery's enigmatic "A Ghost Story" the best indie film of the year. Before you go, there are some things to know. It's not a traditional ghost or horror story, Filmed over 19 days in a house in Irving ( Lowery's town) that was slated for demolition, it has plenty of Texas tie ins in the way of prop placement ( yes, I spotted you Lakewood Temptress, Four Corners El Chingon, and Spiral Diner gluten free chocolate pie- was that you 903 out of Sherman? ), it is more a story of love, loss, time and an earthly residence on a plot of ground, which our main characters are planning to leave. This ghost is trying to reconnect with his grieving wife but has no idea how. Our ghost walks along the Trinity River floodplain, crosses DFW fields and visits other Dallas locations. An official selection at Sundance ( it took Lowery 15 tries over the years to gain admission) , the film is distributed by A24 who brought us Moonlight last year. It was also screened at Oak Cliff Film Fest in June, for it's Texas premier, and was self financed from monies made on Pete's Dragon. The pacing in torturous at times so don't be in a hurry. Paranormal activity is limited and very deliberate. Cue lights flickering, shadowy lights dancing on the wall, a picture smashing. In fact, there is precious little interaction between Casey Affleck, as C in a white sheet with black eye cut outs, and Rooney Mara as M, or the other residents that follow in the house. This ghost is a watcher. The actors have reunited again for Lowery, after doing "Ain't Them Bodies Saints" in 2013. Our ghost is a brooding observer, who has returned to the house, after dying in a car accident near by. We can best interpret his thoughts and moods by how the sheet fabric is draped and lays on his invisible frame. Time has no meaning to C but as it passes we sense an unhappiness, confusion and sense of urgency building. He perceives time very differently than the living do. Super long camera takes and natural lighting set the tone for the overall feel, giving the viewer lots of time to take it all in and ponder the meaning of life. Rounded film edges suggest the audience is peering in, observers watching the observer. The storyline is straight, with a few time travel jags into the past and future, atop Museum Tower and the Tower at Cityplace in Dallas. All in all, our ghost is trapped, claustrophobically in one location (past and future), next door to a house with another silent ghost inhabitant in a floral printed sheet, who waits for someone or something to return. They chat via subtitles. It appears that only one person can sense or see him, a young boy child, and our ghost tends to be resentful of the new family that has moved in. He is bored during the parties the next owners throw, despite a way cool existential soliloquy about the end of the universe and what man will leave behind (don't blink or you'll miss a Kesha cameo) by a Texas craft beer drinker ( Will Oldham) credited as Prognosticator. It's interesting that even our main characters do not have names. But we are reminded to leave something of ourselves behind "to make sure you're still around after you go." Realizing "we do what we can to endure". C had written a song for M and perhaps that's the type of legacy being referred to. M places a note in a door jam before she moves out, as a memento and to "leave a piece of me there" after which C spends time trying to retrieve it. So much of the viewer's experiences will depend on how the long pauses are handled; at the hospital, on ghost walks and during the kitchen pie eating scene, as M consoles herself on the floor. Estimates range from five to nine minutes folks. I didn't time it but it is lengthy and emotionally painful. Empaths be forewarned. That's a lot of fork digging and pie-hole filling. Mara had never had pie before this scene and she did not like this one. But there is certain awards buzz for her heartstrings-pulling performance. Run time for the film is short at 90 some minutes but it packs a lot in that time. With an Oscar caliber actor in a white bed sheet for the audience to project upon, the action levels are low and we are forced to witness the same events our specter is, and forced to think some really big thoughts. Affleck actually handled grief infinitely better in last year's multiple award winning "Manchester by the Sea". Perhaps watching "A Ghost Story" once, just to sort things out, and then perhaps viewing it a second time, like I'd like to do, to experience the ethereal beauty and resonance of the messages, would be good advise. Enjoy the music by Daniel Hart, for the emotional score adds so much to the film without distraction. The production company is called Scared Sheetless, and when the name appeared, it gave us all one of the few big laughs of the evening. Action fans will get one full on bored tantrum via C and a look at a double house demolition by some dozer drivers who have, undoubtedly, the best jobs on this film.